I am a firm believer that no one should be fashion bullied and so, each one of us, and each different body types should be able to wear clothing pieces that would compliment them and would make them happy about themselves. Fortunately, Tbdress feels the same and they offer a wide array of dresses for all types of body including the plus size! Tbdress.com provides hundreds of dedicated dresses for global buyers. You might want to check out their Tbdress Plus Size Evening Gowns Sales. Anyway, while I was browsing their shop, I can't help but notice the delicate and intricate details of each piece. It seems like each one was made to make women pretty inside and out. I like the flowiness of the skirt and the combination of the green and blue because it's eye catching without it being a sore in the eye. 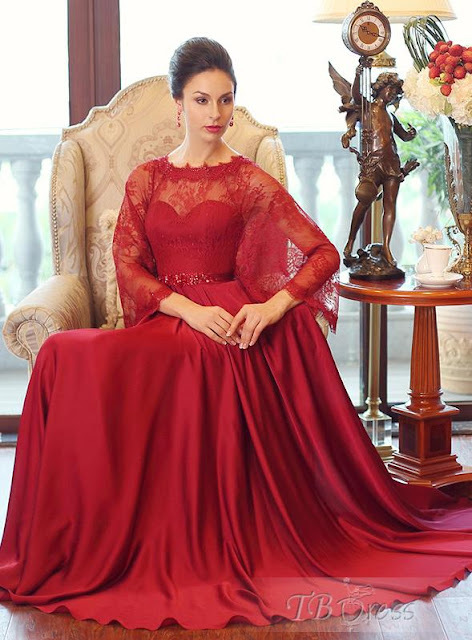 Now you can shop easily at their Tbdress Latest Evening Dresses Online. Take a look at some of the samples below. Check Tbdress via their website, facebook, instagram, youtube, and twitter. Disclosure: This post is sponsored by Tbdress. I was compensated to write this article but all thoughts and opinions are my own.